Beast from the East, Russia, Facebook, Brexit, Trump, House prices up, House prices down … the Press is full of column inches on Brit’s favourite subjects of politics, scandal, weather and not forgetting (and I appreciate the irony of this!) the property market. As an agent belonging to a national group of letting and estate agents, talking to my fellow property professionals from around the UK, the one thing that is immediately apparent is the UK does not have one property market. 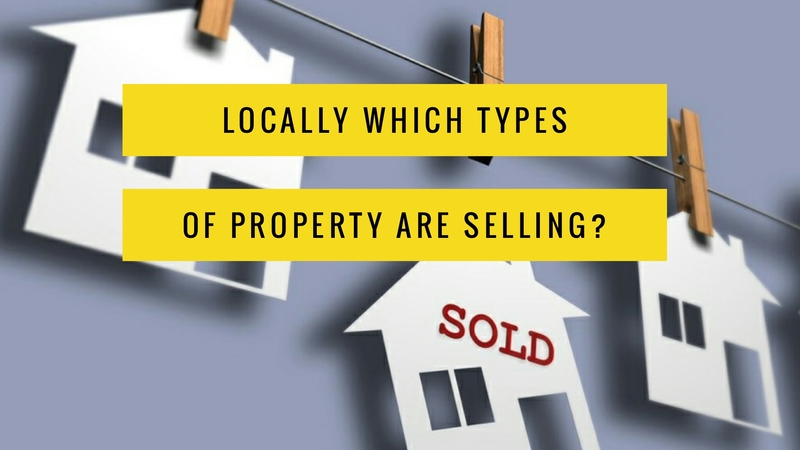 It is a hodgepodge patchwork of lots of small property markets all performing in different ways. … And that made me think … is there just one Telford Property Market or many? I like to keep an eye on the property market in Telford on a daily basis because it enables me to give the best advice and opinion on what (or not) to buy in Telford, be that a buy-to-let property for a Telford landlord or an owner occupier house for a home owner. So, I thought, how could I scientifically split the Telford housing market into segments, so I could see which part of the market was performing the best and the worst. 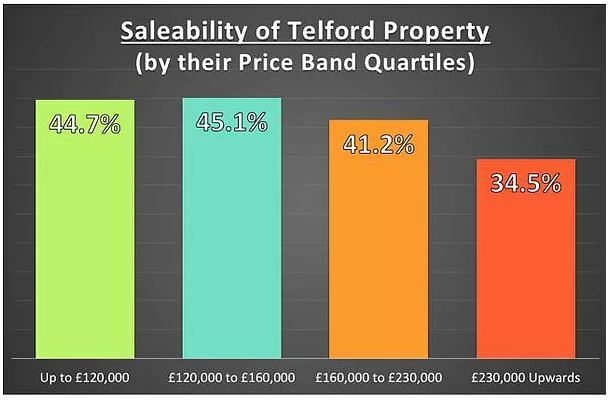 Although the results are close, the best performing price range in Telford is the middle market. Interestingly for Telford landlords, the lower market is also selling well, meaning there are plenty of Telford landlords buying properties to add to their buy to let portfolios. As I would expect, the upper quartile (the top 25%) is finding things toughest. Even though the number of first time buyers did increase in 2017, it was from a low base and the vast majority of 20 something’s cannot buy, so need a roof over their head (hence the need to rent somewhere). It is a fact that British (and Telford’s) housing markets have ridden the storms of the 1980’s depression, Black Monday in the 1990’s, and latterly the Credit Crunch together with the various house price crashes of 1987 and 2008. No matter what happens to us Brexit or anything else … unless the Government starts to build hundreds of thousands extra houses each year, demand will always outstrip supply … so maybe a time for Telford landlord investors to bag a bargain? Want to know where those Telford buy to let bargains are? Follow my Telford Property Blog or drop me an email because irrespective of which agent you use, many local landlords ask me my thoughts, opinion and advice on what (and not) to buy locally … and I wouldn’t want you to miss out on those thoughts … would you?